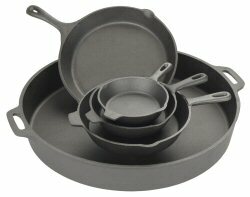 I own some Cast Iron Cookware as well as having a set of tri-ply stainless steel cookware. I use both kinds at home and at the restaurant. I like to fry chicken, steaks, pork chops and hamburgers using cast iron skillets. Cornbread is really special coming out of a cornbread pan. Baked beans from a cast iron Dutch Oven always taste great. When cooking blackened fish, nothing works better than a cast iron skillet. 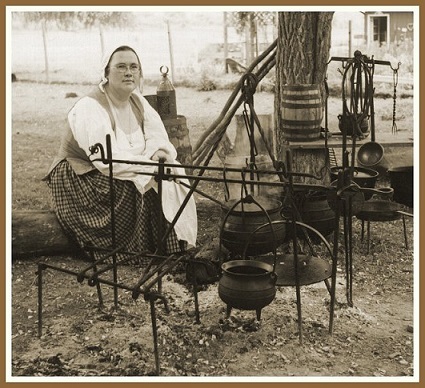 My great grandmother, grandmother and mother used to cook everything in cast iron but the cookware fell out of favor for two reasons: it is heavy and maintaining it was thought to be more difficult once the new metal cookware became available. Cast iron cookware is still heavy, but some things have changed. 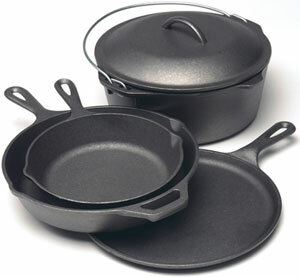 You can now purchase pre-seasoned cast iron thanks to a newly developed seasoning process. Lodge Manufacturing, a 100+ year old family-owned American business and others have developed a pre-seasoning process. They have an electrostatic spray system that applies a vegetable oil combination deeply into the pores of the iron. The cookware is then put into an extremely high temperature industrial oven which bakes the coating into the surface. 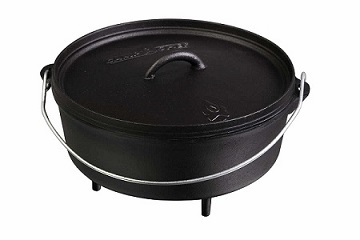 The resulting seasoned cast iron cookware is far superior to anything we can achieve at home. Most foods do not stick readily to these pans. I love this cast iron cookware despite the fact that it is heavy. Cast iron is still the best even heating cookware. Yes, it heats more slowly than metal cookware so I usually sauté with my stainless pans. However, cast iron holds the heat for a long period of time which is advantageous for cooking certain foods. What specific cast iron do I use most often? My pre-seasoned Lodge Logic cast iron skillet helps me make fabulous cornbread. This 10-1/2 W x 16-1/2 L x 2 H inch pan is specifically made as a cornbread pan but it can be used to cook many other items as well. When family and friends are visiting and want my buttermilk pancakes and bacon, I use my double (two burner) griddle, pictured here. Turn it over and it is a grill! This reversible two-burner griddle features a slight slope into a grease gutter. It's cooking surface is 19 1/4 x 8 1/2 inches. You can even put restaurant stripes on your grilled favorites. The ribbed bottom pan lets you keep foods from simmering in fatty drippings so you're cooking low fat. It is ideal for vegetables, burgers, and sandwiches. It has high sides and is 10 1/2 inches square. 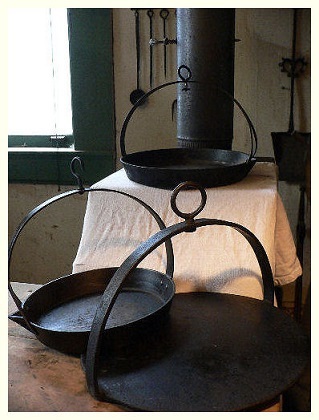 One of the things you'll see as you do your own research, cast iron pots and pans are relatively inexpensive, especially when you understand they will last for several generations. I hope you found the information about this cookware helpful. If you have time, please check out the other cookware information by visiting the pages linked above.